On Wednesday, Samsung announced U.S. pricing and availability for the Wi-Fi only Samsung Galaxy Tab 4. Since these tablets do not connect to a carrier network, you will find them in retail outlets like Best Buy, Office Max, Office Depot and Tiger Direct. 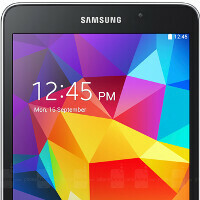 Pre-orders for the Samsung Galaxy Tab 4 will start tomorrow. The tablets will be available in 7 inch, 8 inch, and 10.1 inch versions, priced at $199.99, $269.99 and $349.99 respectively. All three versions will be available in black or white, and will be released on May 1st.